Welcome to our blog and thanks for stopping by. Wes Yemoto Esthetic Dentistry wants to offer you some easy hints when caring for your teeth. 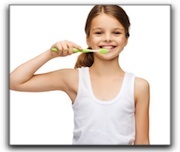 4.Do… make regular dental visits for cleaning and examination by a professional. Call Wes Yemoto Esthetic Dentistry to set up your initial consultation today. 408-266-9957 We’ve got the phones ready! Cancer screenings, cavity checks and removal of tartar from the teeth are vital to maintaining a healthy mouth. Don’t… worry if you don’t have the healthiest of mouths. Wes Yemoto Esthetic Dentistry can help you get back on track. Whether you’re looking for sleep apnea/snoring, general dentistry, or teeth whitening, we can restore what has been lost or counsel with you on the best options. If dental implants or prepless veneers is what it takes, then we are equipped and ready to serve the Los Gatos, Cupertino, Campbell communities.